Discover the freedom of open roads while touring with Lonely Planet's Best Trips, your passport to up-to-date advice on unique experiences that await you along the road. Featuring amazing road trips, from 2-day escapes to 2-week adventures, you can explore your destination with classic routes or themed tours, from tasting cheeses and drinking wine around France to climbing the Rocky Mountains in the American South West. Rent a car and hit the road! Detailed trips feature with extensive itinerary descriptions and information on time, distance and the best time to go. To help those wanting to extend their route, references to other trips in the area, similar thematic routes and worth detour are provided. Places of interest are numbered and referenced to an overview map of the route. A practical information section offers planning advice on how to pick the right tailored routes for your needs and interests, details things to do, where to eat and accommodations, with opening times, phone numbers, websites, prices, and honest reviews for all budgets. You will also find local road users tips to avoid trouble spots and be safe on the road, and inform you on local driving rules, parking, toll roads, and local road signs key. 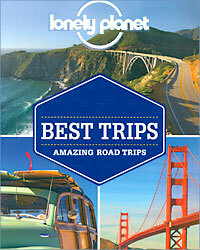 The guides in this series feature lavish colour photography throughout and a convenient pull-out road map. 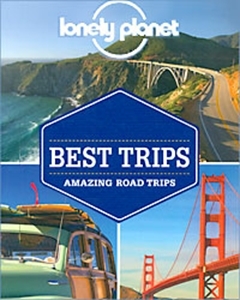 Lonely Planet's Best Trips guides are perfect for road adventures and discovering sights that are more accessible by car.